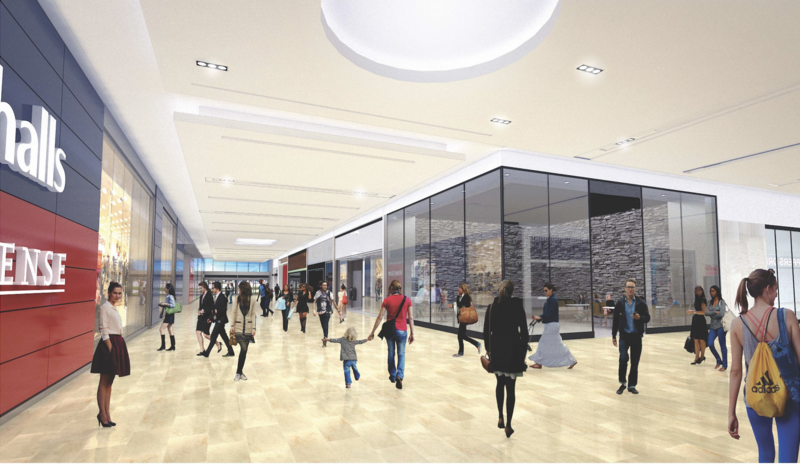 Hillcrest Mall announces a major interior overhaul and reveals plans for its North Wing reconfiguration, formerly occupied by a 133,000 sq. ft. Target. Fall 2018 will see a 46,450 sq. 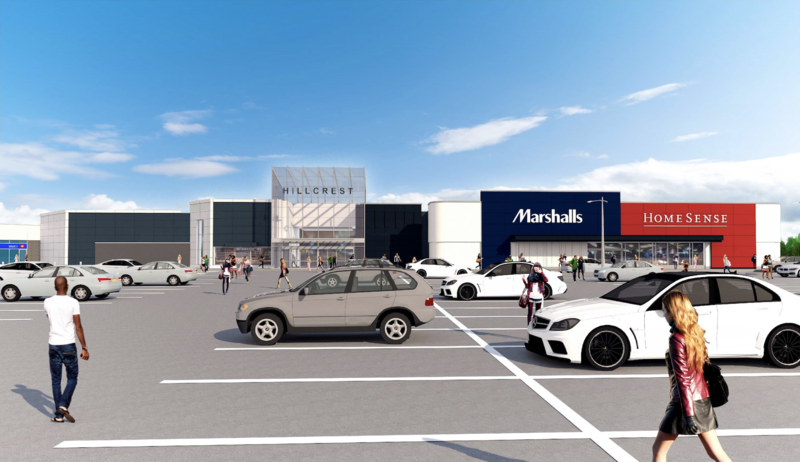 ft. junior anchor, Marshalls and HomeSense (combined) join Hillcrest’s collection of lifestyle retailers, with additional North Wing retail to be announced. The entrance leading to the North Wing will mirror Entrance 2 (South Wing) in its design, offering an open, bright and elevated experience. Hillcrest’s interior will see a full refresh too, including new floors, lighting, washrooms, ceilings and an upgraded food court. Hillcrest’s men’s and women’s washrooms, foyer to washrooms and parents room are currently being renovated and will open in November 2017. A 1300 sq. ft. Rockport, 5000 sq. ft. Sleep Country Canada and 500 sq. ft. Escents Aromatherapy have opened this fall. This first rate selection offers an experience which blends charm and sophistication as it appeals to a highly affluent demographic in Hillcrest’s primary trade area. Hillcrest’s washroom renovation is also underway, set for completion on November 4. With the washroom already fitted with environmentally sustainable fixtures and low-flow toilets, this upgrade is concentrated on cosmetic updates to all touchpoints including tiles, walls, floors and new counters. With 8,800 condo units being built around Hillcrest, the shopping centre’s redevelopment is part of a larger story in Richmond Hill. With so much positive re-development, Hillcrest Mall has a civic responsibility to make sure it looks its best. The mall is committed to providing shoppers with an experience that matches the lifestyles of Richmond Hill resident’s. Sales are up 10% since last September, a sign that Hillcrest is grabbing attention with its new, showstopper upgrades and top-tier retail. Last fall, Hillcrest welcomed a 40,000 sq. ft. Sporting Life, 21,000 sq. ft H&M, 6,600 sq. ft. Aritzia and 1,000 sq. ft. Pandora. These retailers, along with a 4,600 sq. ft. Sephora and 119,000 sq. ft. Hudson’s Bay are solidifying Hillcrest’s position as a shopping destination in York Region.